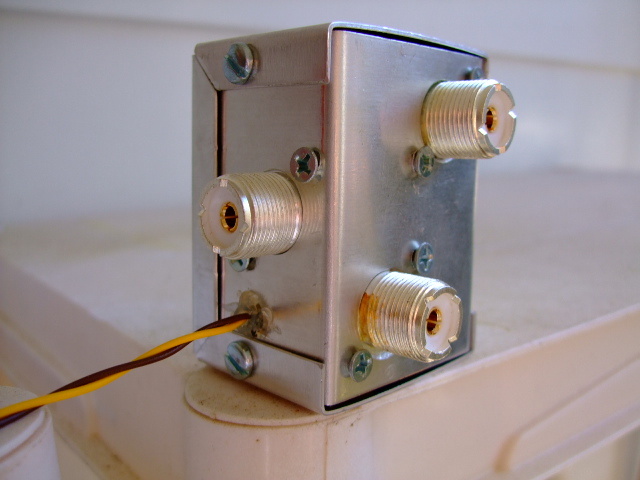 The current plan is to incorporate a SixPak into the antenna switching scheme here in the KazShack. The SixPak is to help enable an exploratory foray into SO2R operating. 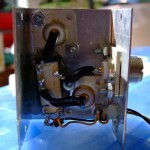 It would also be useful to have the ability to use more than one resonant antenna on a given band. For example, the station is currently limited to a single dipole on 40 meters. It would possibly be helpful to have another dipole at right angles to the first. This would likely help bring up stations that are off the ends of the current dipole. It might be even more helpful on 20m where the antennas are higher relative to the percentage of the bands wavelength. So a quickie two antenna remote switch is in order. The requirements are not critical for my low power application. It is simple enough. The relay is the P&B RTB14012F, a SPDT relay rated at 12A in its normal general purpose AC applications. This series of relays has been in use in my seven position switch for a couple of years now, and is in the same series of relays used in several high power switch project articles from NCJ. In this specific switch there are no losses that are measurable up through 6m. This was tested only with an ordinary watt meter into a dummy load, and applies to either output port of the switch. So far so good. The only other components are a clamping diode, a 10nf bypass capacitor, a few bits of hook-up wire, and three coax connectors. The diode and the cap go across the coil on the relay to suppress nasty RF side-effects on the DC side of the circuit. The enclosure was easily the most expensive item. Total cost is about $12 USD. The 12v control cables are potted with hot glue. 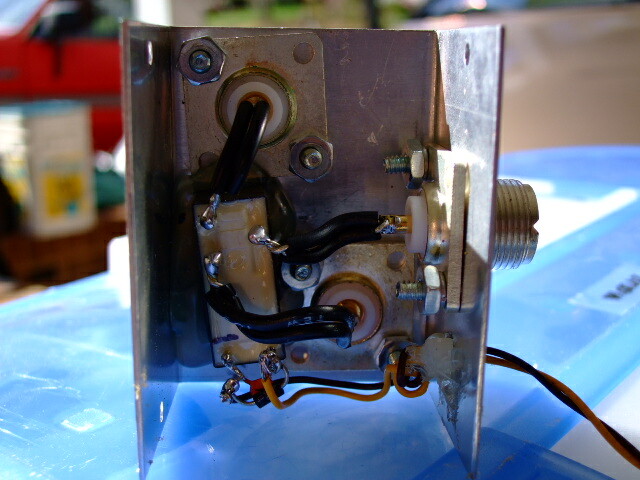 The enclosure is not water tight, but the switch will be mounted in or under a rain shield. The relay itself is sealed, so insects might be the only issue should they infiltrate the enclosure. The switching controls are going to be in a yet to be determined integrated panel. That will add to the cost by the amount of the switch which will be mounted in the control panel. Cat5e will be used for all control cable runs. 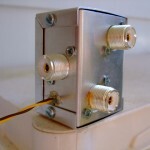 With the addition of one relay and one extra control wire, it is easy to make a similar three or four position switch. Sometimes simplicity is good, or as in this case, “good enough”. I’m not an expert on the subject, but with the RCS-8 I think that all of the grounds are indeed tied together. If the switch is near the antenna, maybe that is having an effect. If you bypass the switch with a jumper, do the patterns improve? Hard to test at the top of a tower, but it seems like the easiest way to determine if the switch is causing the problem or if it is something else. If anyone else stumbles across this post, please feel free to add comments or make suggestions.